The initial roadmap is the first move in a longer-term plan to boost competition and drive up efficiency in the banking sector by encouraging collaboration to save costs. Last week, Andrea Leadsom, MP and member of the UK Treasury Select Committee called for the creation of a shared payments infrastructure into which many core bank functions would be placed – a suggestion that is also currently being discussed at EU level. 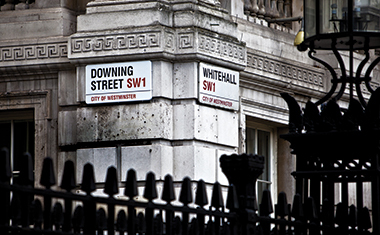 The UK Payments Council roadmap puts forward six possible options to make it happen. The first is to build a central clearing hub, reducing the number of payment clearing engines that exist. A collaborative clearing infrastructure would consist of two or three payment clearing engines, one for high-value payments, one for instant payments and one for batch processing of direct debits or payroll transfers, for example. The UK already has the CHAPS Clearing Company, an organisation responsible for the operation of same-day high-value payments. The second possibility is to create a centralised banking utility, which would cover current accounts, collaborative clearing and data and service management. Under this option, the utility would provide a hosted platform similar to a database for all current accounts in the UK, removing the need for each bank to individually manage the data at the back office. Option three would be a totally decentralised model, in which as many functions as possible are handled at the individual banks, minimising collaboration as much possible. This choice is intended to recognise the possibility that it might be quicker for banks to bring about change individually, but Andrew Ducker, head of payments roadmap programme at the Payments Council acknowledges that such a choice would disadvantage the smaller players such as new entrants, potentially compromising the project’s overall goal of encouraging more competition. Building up an agency banking platform (option 4) would focus on creating a shared platform designed for all the smaller agency banks that typically need to access services from their larger rivals. The goal would be to make it easier for smaller, challenger banks to gain access to banking services, in particular payments processing and data management. The last two options consist of allowing the industry to continue with smaller, incremental improvements scheme by scheme, and finally a hybrid model of clearing and settlement such as having one for near-real time clearing with deferred settlement and one with real-time clearing and settlement. The publication of the initial roadmap document by the UK Payments Council may be of interest to VocaLink, which operates the UK national payments infrastructure, a national grid for payments. The firm underpins the Faster Payments Service in the UK as well as the Bacs and Direct Debit schemes, which process an estimated 90% of UK salaries, 70% of household bills and almost all state benefits. VocaLink’s support for Faster Payments in turn underpins the Barclays Pingit mobile payment service. The company’s contract is currently up for renewal; the UK Payments Council is also due to roll out a Mobile Payments Service across all UK banks next year, using the VocaLink database of mobile numbers. The first full version of the roadmap will be published in Q1 next year, following a period of consultation with government, business, charity and consumer representative groups.